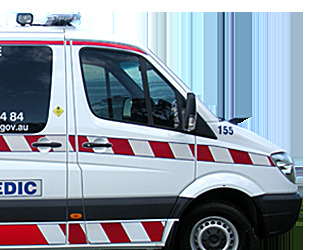 Stratos works closely with vehicle builders in the Emergency Services industry to deliver seats that can fulfill every requirement. All Stratos seats for emergency services are tested to comply with the ADR's needed for your vehicle spec. 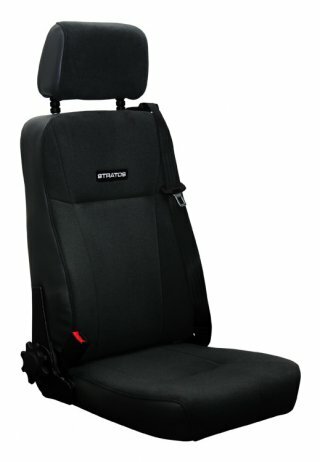 The Stratos 785 is a strong, comfortable and durable seat designed for forward or rearward facing applications. The seat features a 3-point integrated seat belt, reclining backrest, child restraint anchor, and an ergonomic base cushion with energy absorbing mesh to reduce fatigue. The Stratos 785 can also incorporate a seat belt buckle with electric switch. This can be wired to an indicator inside the vehicle to enable the driver to see if the attendant is wearing their seat belt before departure. 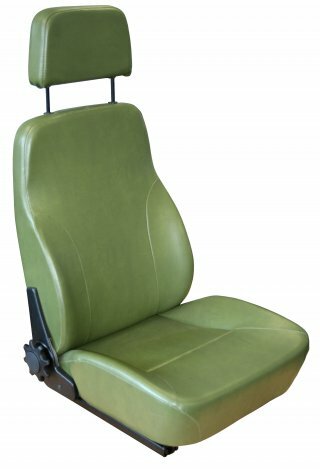 The 712 seat is a comfortable, lightweight and economical seat commonly used as lower cost solution in military and other vehicles. Available with a fixed backrest or reel type reclining mechanism and a low sided base cushion for easy entry and exit of vehicles. The ergonomic base features Sisiara® energy absorbing mesh which lessens driver fatigue and increases comfort. 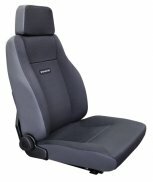 It features quality Enduro foam and a padded headrest.